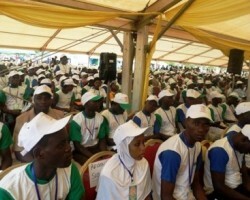 APA-Ouagadougou (Burkina Faso) — The capital of Burkina Faso, Ouagadougou, will host a summit of the Young Leaders of the United Nations on May 21, a communiqué from the weekly cabinet meeting said on Thursday. 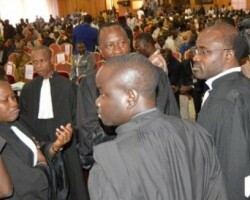 APA-Ouagadougou (Burkina Faso) — The trial of the suspected author of the September 2015 failed coup in Burkina Faso scheduled to resume Friday has been moved to 9 May. APA-Ouagadougou (B/Faso) — Three West African regional leaders have been named as potential witnesses in Burkina Faso’s abortive coup trial. 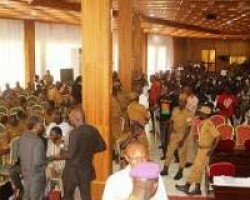 APA-Ouagadougou (B/Faso) — The next hearing of Burkina Faso’s coup trial which resumed on Wednesday has been suspended again on Thursday. APA-Ouagadougou (Burkina Faso) — France has donated 16.5 billion CFA francs to Burkina Faso to strengthen the country's education sector. 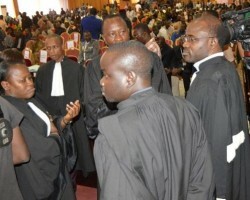 APA-Ouagadougou (Burkina Faso) — The Burkinabe constitutional scholar, Professor Augustin Loada, has been contracted by the United Nations to help solve the electoral and constitutional issues in New Caledonia, APA learns Thursday from a media source. 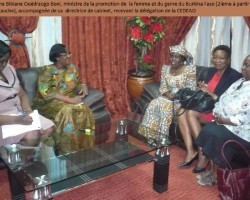 APA-Ouagadougou (B/Faso) — Burkinabe president Roch Marc Christian Kabore has committed, should there be another reshuffle of his cabinet, to respect the country’s affirmative action law stipulating that 30% of the government posts must be reserved for the women.